I do like to buy British when I can. 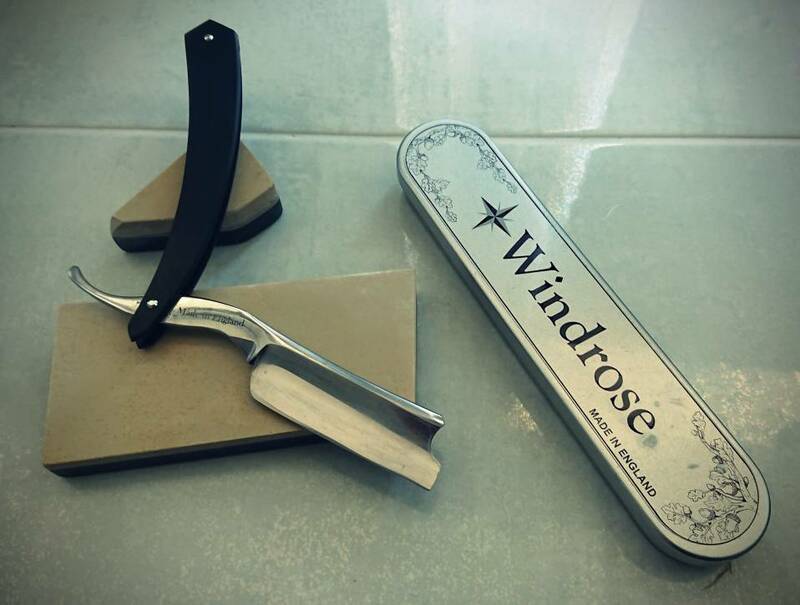 Does anyone have any experience of Windrose straight razors? Apparently manufactured in the UK. Heat treated carbon steel. I mean, how bad could they be? Worth trying? Worst case it might be a honing project I guess. Or does someone have one, and they are actually great? I have three of those so far. I would just like to support current manufacturers as well. I pulled the trigger and bought one. Will review once I have tried it. So Windrose: Bullseye! Or misfire? At the moment the jury is out. So far it hasn't taken a great bevel and it has a weirdly short blade. I'll update with pictures when I get it shaving to my satisfaction. I can't recommend Ed Brice enough. The pair I have were great value. 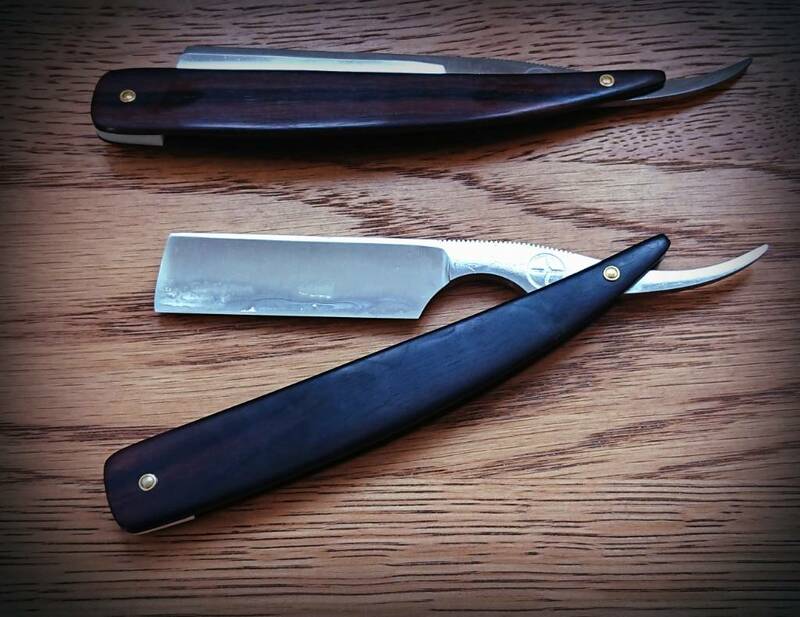 I went for quite conservative styling, but I am sorely tempted by some of modern looking razors he has been making recently. Mine both shave magnificently. Very sharp. I am conservative when it comes to straight razors so no Bling is fine with me, maybe blade only would be ideal not that they are supplied with ugly ones but I enjoy the challenge of making my own. 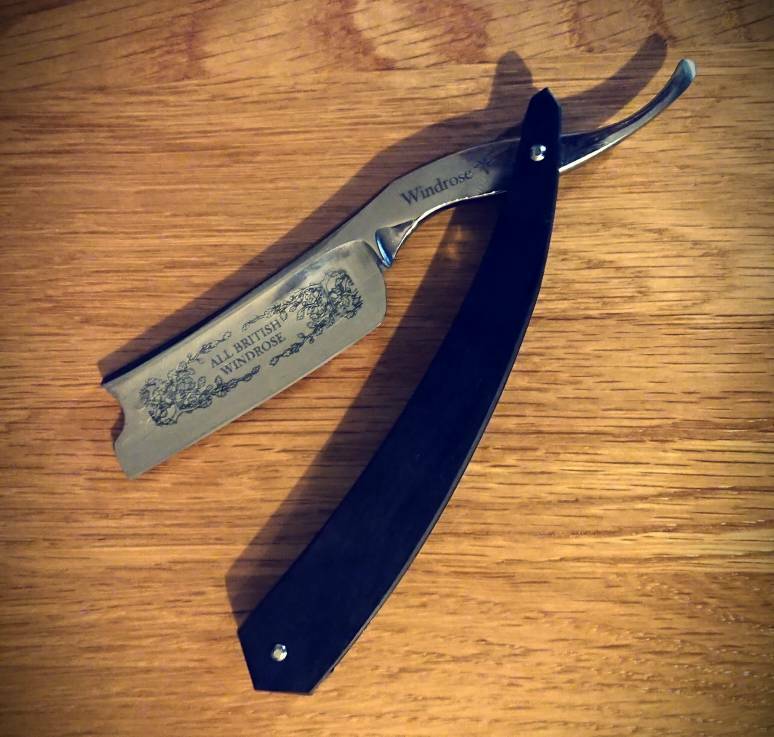 Honed up the Windrose and shaved with it tonight. Set the bevel with a Gwespyr and then put a coticule edge on it. It took a good while and a couple of honing sessions to get it how I wanted it. The geometry is OK. The metal a bit tinny. Which it's why I wasn't confident about putting a sharper edge on yet. But it shaved OK. It is an odd little razor. A shorter blade and tang than normal - not by much but enough to feel cramped. I'll see how it holds its edge over time. I had another stab at honing this Windrose on a coticule. What a difference! It's shaving like a real razor now. Had a close two pass shave with it this morning. If you are looking for a high quality straight at little money - this is my only recommendation!!!! My criteria was a modern British-made Straight that would shave. What are those? - they look pretty. Not British however if you choose his tungsten blade it will , as a lot of people have reported, shave like vintage Sheffield steel, like an old wade n butcher! Name is Rigarazors, find on eBay , if anybody requires a custom blade I have Sergejs email address! Need to check with him he’s happy for me to give? I have seen those on various threads. I would like one. I have spent waaaaay too much this year and have one more purchase that I'm commitment to. ... But in 2019 I will definitely get one I think.